I don’t know about you, but I really like taking the new avast! 6.0 features – WebRep, for example -- for a test drive. With the beta 6.0 installed, I opened Google.com and quickly typed in “Longhotlegs” to see what would pop up. I even forgot to add the spaces. In my top five results, there was a stocking e-shop for women (no rating), strip bar in the UK (no rating), the TMZ celebrity blog (green rating), and – my favorite - a Wikipedia entry for Pholciadae. 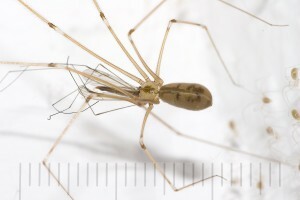 This spider family includes the creature commonly known as “daddy long-legs”. From the WebRep perspective, Google.com has a “good rating with many votes” while en.wikipedia.org has a “good rating with few voters”. Before I left Google, I voted on each of the top five. Which brings meto the participatory part of WebRep. At first glance, there was very little difference between the results served up by Google for each of the five sites. But, they provided very, very different content. This feature gives millions of avast! users a place to make their opinions and experiences count. The more people use it, the better it will be. It might even make buying a pair of stockings for your significant other easier.